In November Brian Masse M.P. called upon the Windsor Port Authority (WPA) to petition the federal government to accept a transfer of Ojibway Shores. In his letter (linked below) he also called upon the federal government to accept the transfer and move the property under the stewardship of Environment Canada or alternatively the City of Windsor. The Port unfortunately incorrectly indicated that this process was not possible. To ensure that the all stakeholders, including the public remain properly informed Masse wrote this letter now released to the public (also linked below). Indeed, the letter references two other instances where Ports in other parts of Canada executed an analogous process involving the federal government. The Minister in his response to the initial letter indicated very clearly that the decision to propose a transfer of property assets from the WPA to the federal government or the City of Windsor must originate with the WPA. The Port’s Board of Directors therefore not only have the authority to proceed, they are the sole body who at this point are empowered to make a decision that can place this property under the guardianship of a body whose mandate is consistent with the environmental aspirations of the community for this incredibly significant parcel of land. The WPA can propose the transfer of Ojibway Shores to the federal government to then be transferred to another department like the Ministry of the Environment, or it can sell Ojibway Shores to a third party directly such as the City of Windsor for any price they deem appropriate (including $1.00). The federal government can accept the transfer or sale to the City for $1.00 as there is not pre-determined or required financial costs or terms. It is very important to note that the WPA is a public agency; as such all of the assets under its stewardship belong to the citizens of Canada. The WPA has a mandate to develop land to promote the marine commercial interests of the region. They are not proper stewards of a property that has been identified as environmentally significant. Indeed, at this moment they continue to market Ojibway Shores as available for development. The community has articulated its position on this issue very clearly, they will not allow any commercial development to proceed on Ojibway Shores. The WPA therefore should recognize this property does not help them to further their mandate and move to put this property under the stewardship of a more appropriate agency. This would not only be good choice from an environmental perspective but it is also a good business decision for the WPA. They recently disclosed to me that the management of Ojibway Shores costs them roughly $70,000 per year. 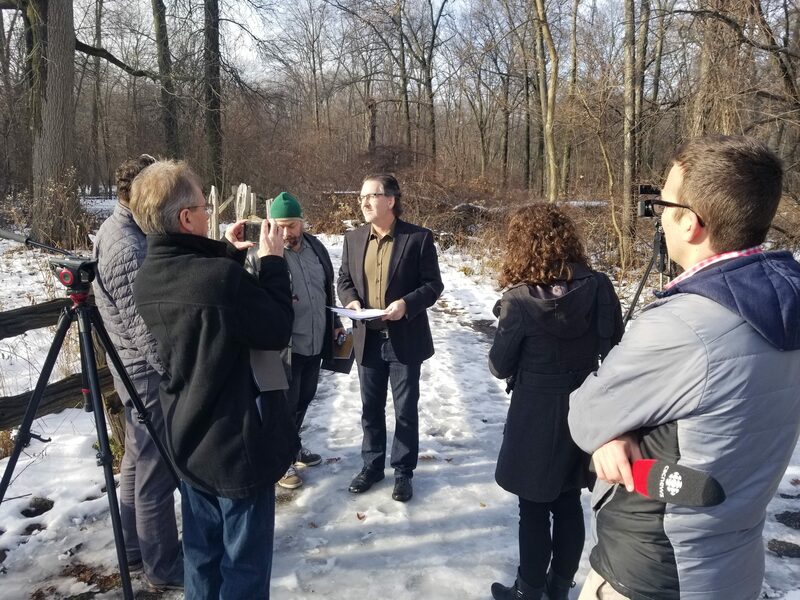 Masse has proposed the WPA initiate a transfer that would ultimately put Ojibway Shores under the management of Environment Canada or the City Windsor. The WPA Board of Directors will be meeting later this month and can direct the WPA staff to investigate proceeding on the transfer of this environmentally crucial parcel of land. The transfer of Ojibway Shores will save millions of dollars for Windsor-Essex residents and make it available for environmental research and protection and grants and services.